A cognitive model is a set of production rules or skills encoded in intelligent tutors to model how students solve problems. It is usually generated by brainstorming and iterative refinement between subject experts, cognitive scientists and programmers. In this paper we propose a semi-automated method for improving a cognitive model called Learning Factors Analysis that combines a statistical model, human expertise and a combinatorial search. We use this method to evaluate an existing cognitive model and to generate and evaluate alternative models. 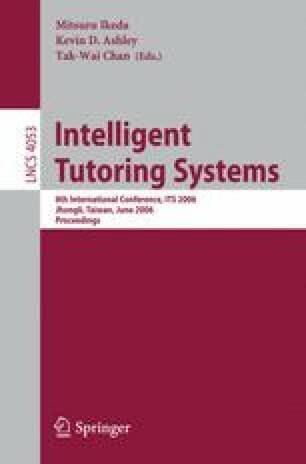 We present improved cognitive models and make suggestions for improving the intelligent tutor based on those models.